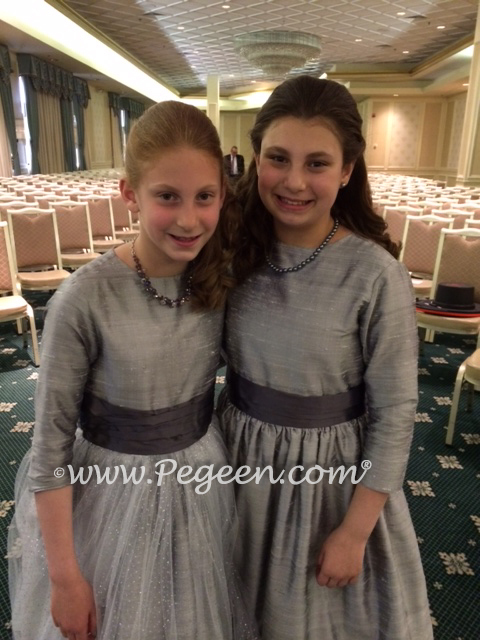 We found some more More 3/4 Sleeve & Modest Flower Girl Dresses for our Jewish and conservative customers. Every dress can be done with longer sleeves in 200+ colors of silk. Contact us for more ideas. 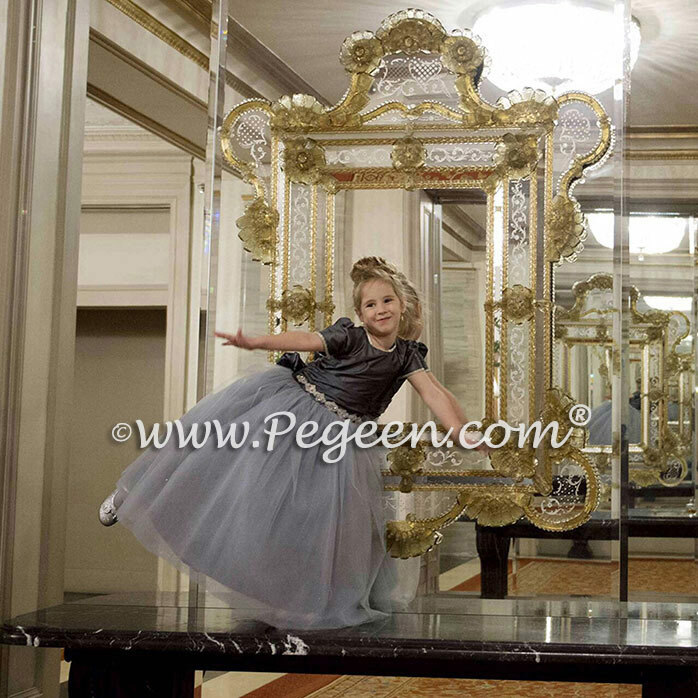 Two really lovely young ladies were captured at the wedding in their flower girl (Jr. Bridesmaids) dresses. 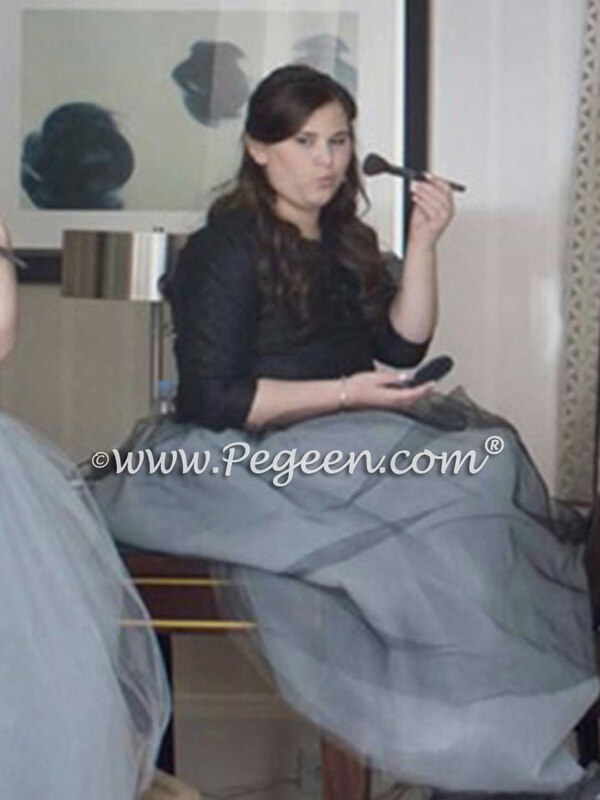 The sisters chose the same shade of gray but one wanted tulle to cover her skirt with silver glitter! So cute! 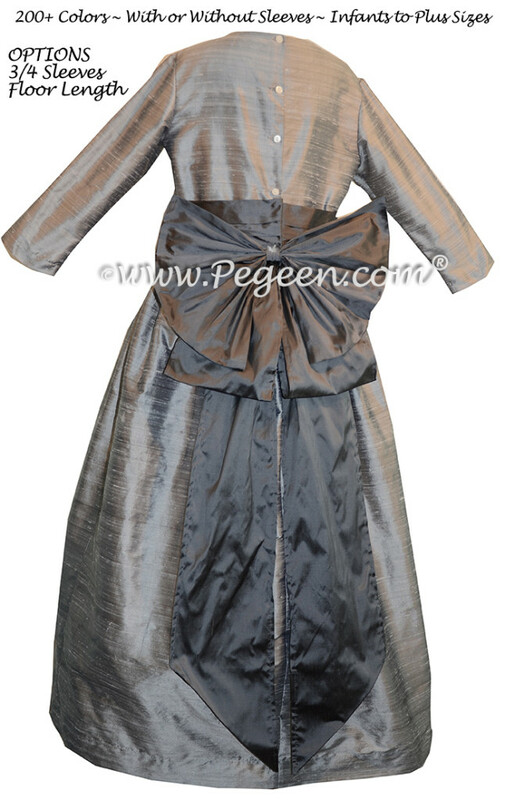 The older sister chose a silver gray and pewter silk flower girl dress style 345.